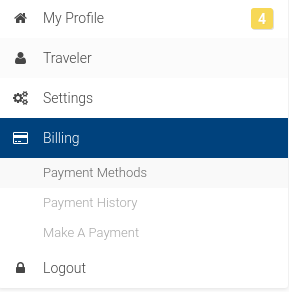 After you have logged into your profile, click on "Billing" on the left hand side of the screen under where your profile picture is located. From here you can review your Payment Methods, Payment History, and Make a Payment. You will have the option to add or remove your payment method. update the card information, and enable or disable the card for automatic payments.